Employers today take no risks when it comes to the protection of their organization and interests. This is why they resort to background searches for all employees right from hourly workers to permanent staff. Experts in the field of business security say employers want to make sure you are honest when you share your past employment with an organization. They also want to ensure you are of good character and integrity when they look for candidates for various employment positions in the organization. How do websites help you conduct free background checks for your employees? Research across the world have revealed that over 40% of employment resumes are false or contain information that has been tweaked. This is one of the prime reasons why employers want to ensure that the information contained in your resume is transparent and honest. 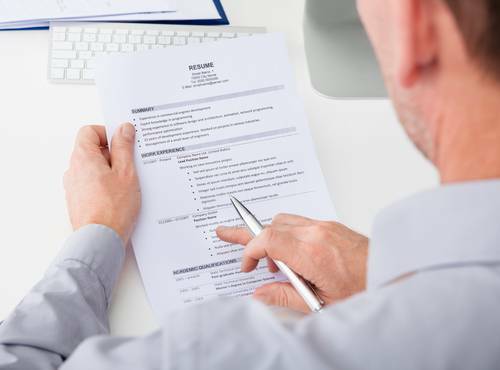 Employers need to ensure they are recruiting employees as per what their resumes promise. This background check should be conducted prior to the hiring process as in case employers find out the credentials of the employee, they hired are false, it reflects on their image poorly. This is where background check websites help you. They allow you to conduct free background checks quickly and accurately. Employers perform background checks to review the details that a candidate has mentioned in his or her resume. They need to confirm all the details you provide. They will also check your past employer details as well. They will verify the time period of the job you mention on your resume or application for the job. With these employment checks, employers protect themselves from issues of liability. If employees behave badly, they can be held accountable for misconduct and negligence in the organization. Employers should conduct these background checks for the sake of protecting their organization. For instance, if your company deals with transport, you must ensure that the drivers you recruit do not have any bad driving records or any accident records. If the organization finds any kind of negative information against a potential employee, it will not recruit him or her. In order to protect the rights and the interests of the existing staff of the company, employers conduct background searches on a frequent basis. Besides checking criminal and sexual offender records, companies will also verify employment history and take testimonials from past employers. On the basis of all these background searches, employers choose the perfect candidates for their companies. There are some organizations where pre-employment background checks have become the norm for the company. Even if you are a small business owner, you should conduct online background checks for protecting your organization. Choose a good website to help you conduct free background checks from the comforts and privacy of any place. Make sure you conduct background checks for both male and female candidates in your office. These checks are simple, and they ensure you recruit candidates that have high integrity and credentials for your organization.